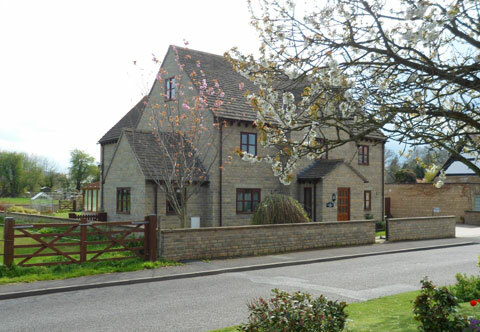 Situated in a the pretty village of Childswickham, Cotswold View offers offers its Bed and Breakfast guests a high standard of comfortable accommodation and delicious breakfasts. The cosy, well furnished and decorated bedrooms have a Double Bed, T.V, Hairdryer, Tea/coffee making facilities and easy chairs. The en–suite bathroom has a corner bath with shower head, hand basin and WC. Breakfast is served in the dining room and includes Fresh Fruits, Juices & Cereals, plus a Full English Breakfast with our own free range eggs, White/ Brown Toast and Tea/ Coffee. Please advise of any special dietary requirements and we will do our upmost to accommodate you. Unfortunately Cotswold View Are unable to accommodate pets. Iron / ironing board on request. Cotswold View is a family run business who have their own small friendly family dog.